And one word that should be more than a buzzword. 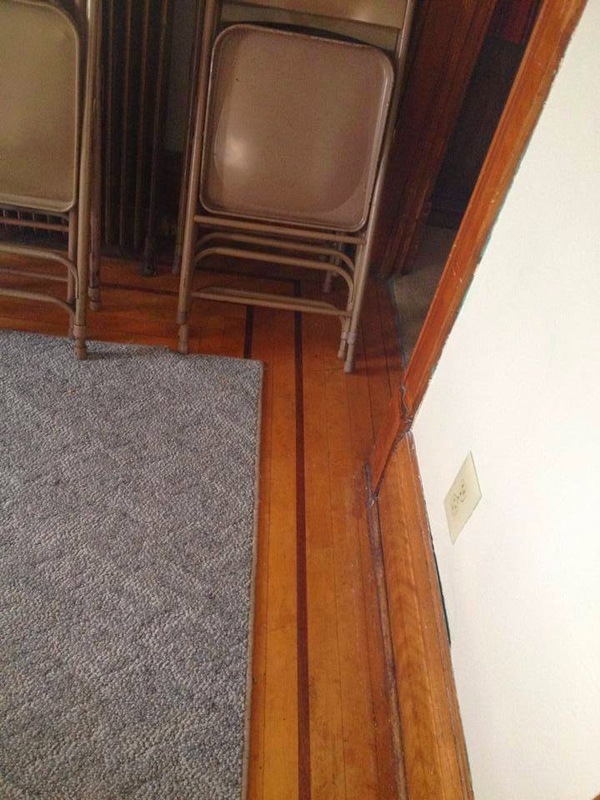 Does the above photo make your head hurt? Good, we both feel the same way. 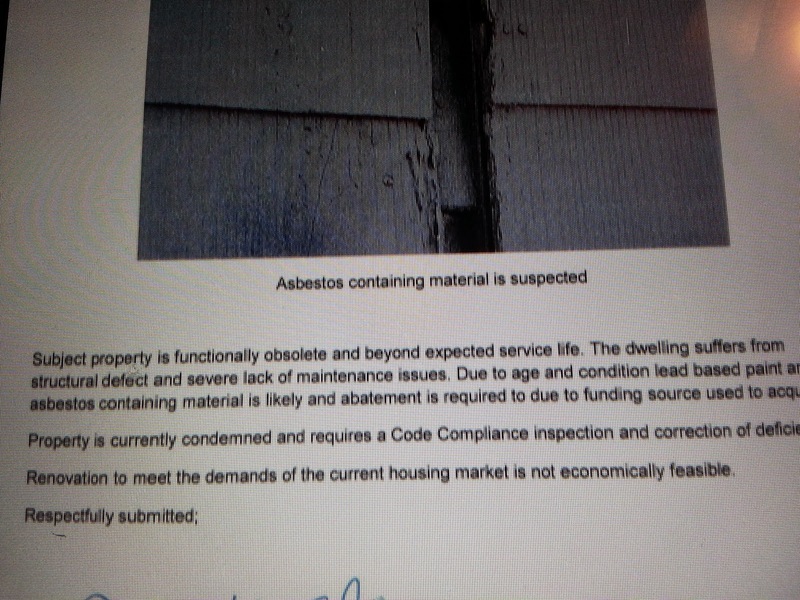 But for me, the words of the day are "functionally obsolete" and "demands of the current housing market." If you hear the words of the day, scream real loud. These two phrases are bandied about by Minneapolis city staffers when they erroneously believe that housing in our community needs to be demolished instead of rehabbed. And they should be stricken from any future use on the grounds that they are employed neither objectively nor by people with professional experience in the sale of real estate. I'd go so far as to say they are redundant as well. 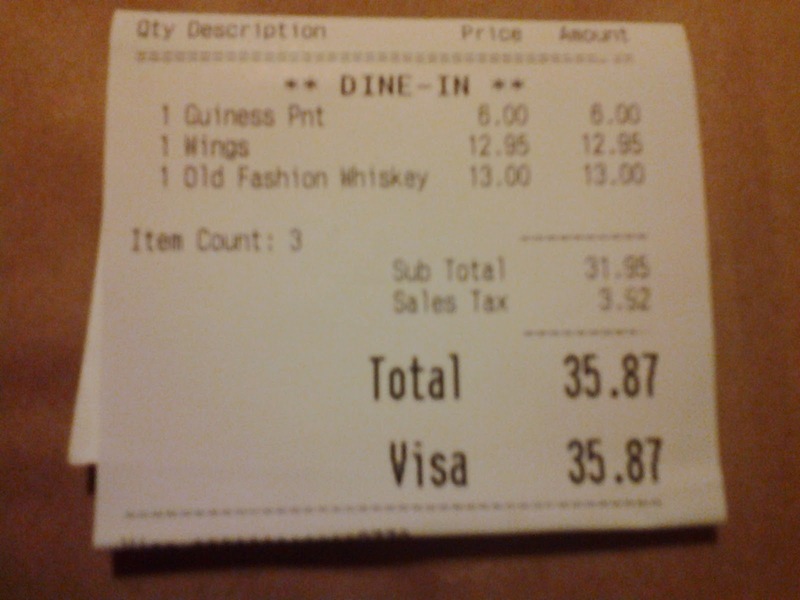 Pictured above: A recent tab that would really throw a restaurant's food/drink ratios off. 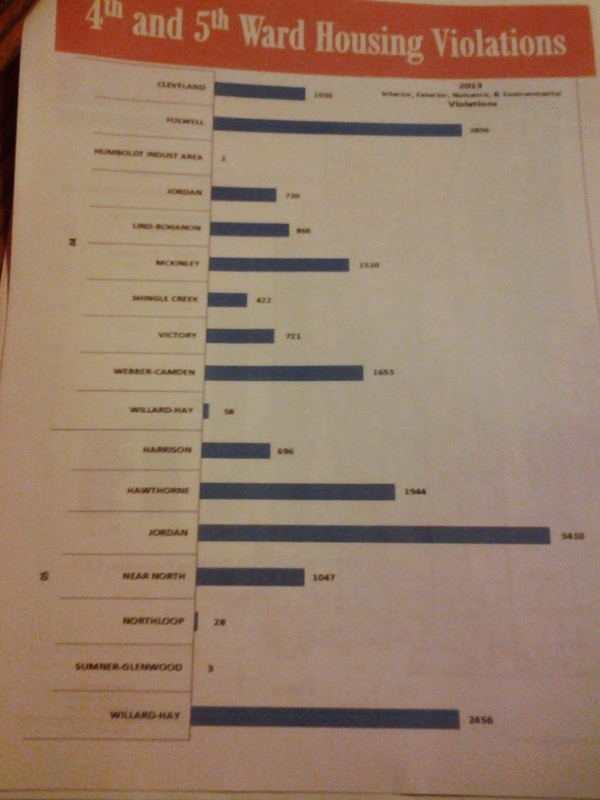 Most election years, I like to take a look at some of the more obscure votes at the bottom of the ballot. It seems like the farther down on the ballot we go, the more direct influence those votes have on our lives. And yet we tend to be the least informed on these issues, and we give them the least regard. This year there are two questions at the bottom of the ballot, updating the Minneapolis City Charter. The second question relates to required ratios for food and liquor sales, and is largely uncontested. The first updates filing fees for those running for Minneapolis elected office. That one is more contentious, but I believe it to be among the most important items on the ballot. I strongly encourage people to vote yes on both. A little backstory on "Mr. Slummy," aka Mohamed Amro. 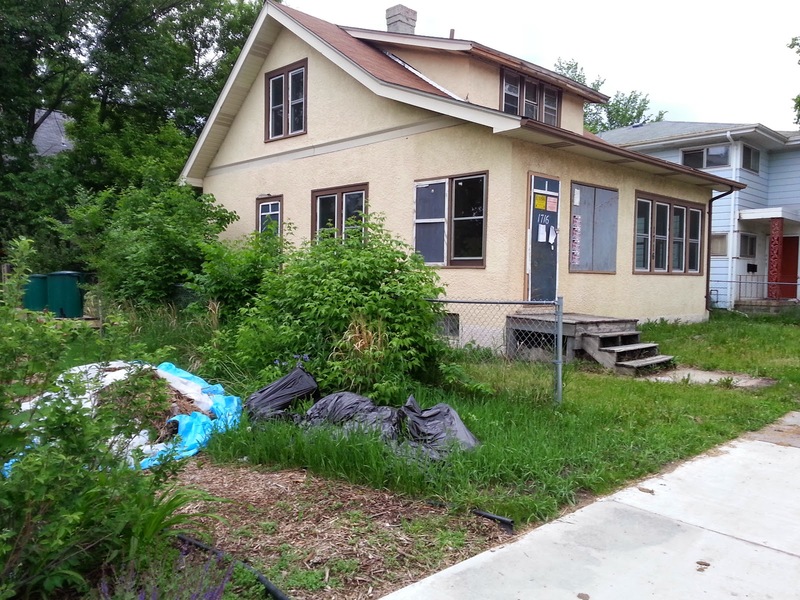 Mr. Slummy purchased two adjacent properties several years ago at 2515 and 2519 3rd Street North. He began to excavate the entire back yard of 2515, even though he had never pulled the proper permits to do so. The ensuing confrontation between Amro and myself, and its accounts on Johnny Northside, led to the first time I was called "The Hawthorne Hawkman," a moniker I use to this day even after moving on from that neighborhood. Anyhow, Mr. Slummy had apparent plans to build a vast, multi-unit structure on one parcel, even though the area was zoned for nothing more than 2-unit buildings. His construction site was notoriously unsafe and shut down by the city multiple times. Eventually he walked away from 2515 3rd Street North and focused his energies on 2519. So much so, in fact that his laser-like intensity must have caused an initial fire there. 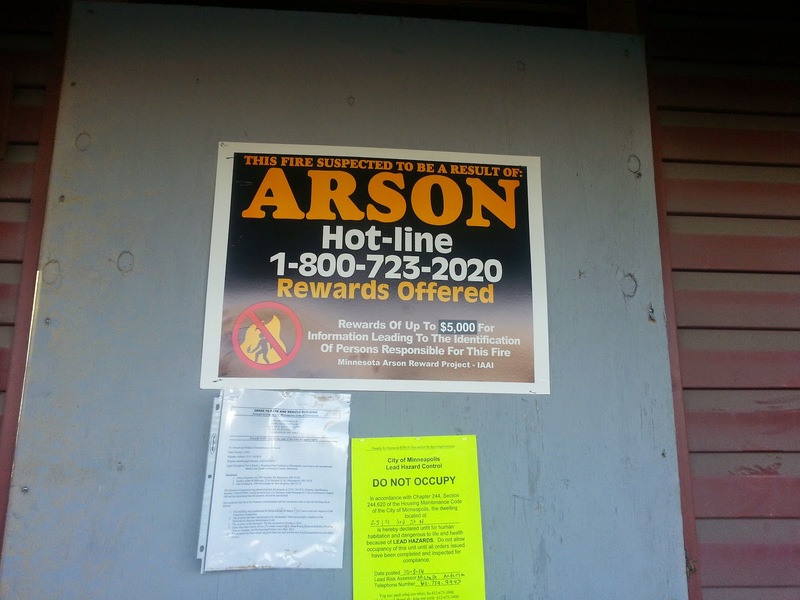 Given how little work had actually happened, many northsiders speculated that the fire may have been intentional and that were it not for intrepid neighbors calling 911, the house would have burned down and Amro could collect insurance money. First things first, I wouldn't actually save this house. 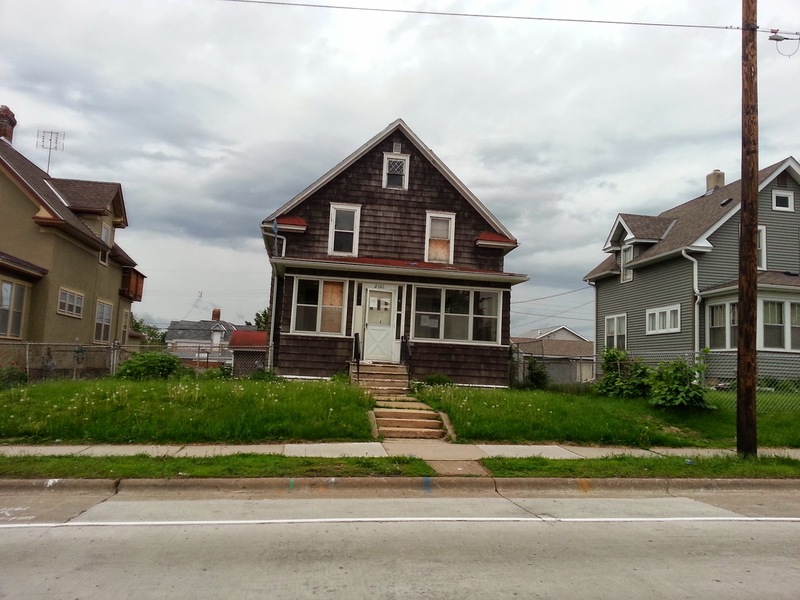 Although I certainly would support anyone who might step up, there are other homes in need of my attention and this one doesn't have enough going for it to be worth taking away from other preservation efforts. What follows is more of an exercise in fleshing out ways that such properties could be saved in the future. By now it's no seret that the Workforce Center currently on Plymouth Avenue is heading north to be the anchor tenant as 800 West Broadway gets brought back to life. Part of that development means that this house can't be on the lot anymore. The space will be needed for parking. In recent years, major developments like this have had the opportunity to save homes by moving them, and failed to do the right thing. Most notably, I think of the Davis Center (the new Minneapolis Public Schools headquarters). There were quite a few very stately homes on the 2100 block of Fremont Avenue North, and I was only a budding preservationist at the time. Even though I go to church across the street, I didn't realize that the homes would be demolished until it was far too late to muster any effort to save them. To this day I still chafe over that loss. I want to create an environment over north that basically states to prospective developers: If you do any kind of big project in our community and there are historic or salvageable properties that aren't going to be there after you're done, the expectation is that you will move instead of demolish these structures. The hypothetical scenario of how to save 2019 Aldrich can help us get there. What Can the Jordan Neighborhood Get From 26th Avenue Upgrades? The contents of this post are not the position of the Jordan Area Community Council, and are my personal musing on the topic. We are nearing the end of the beginning for the 26th Avenue Greenway/Bikeway. As plans will soon be finalized, neighborhoods and interest groups are making their final pushes for amenities or tweaks to the project that benefit their goals. Overall, this lobbying has produced good results The "opportunity points" at the river, Farview Park, Nellie Stone Johnson School, and Theo Wirth Parkway are all great additions to the corridor. And yet they all fall outside the boundaries of my neighborhood. What's Really Happening on West Broadway? 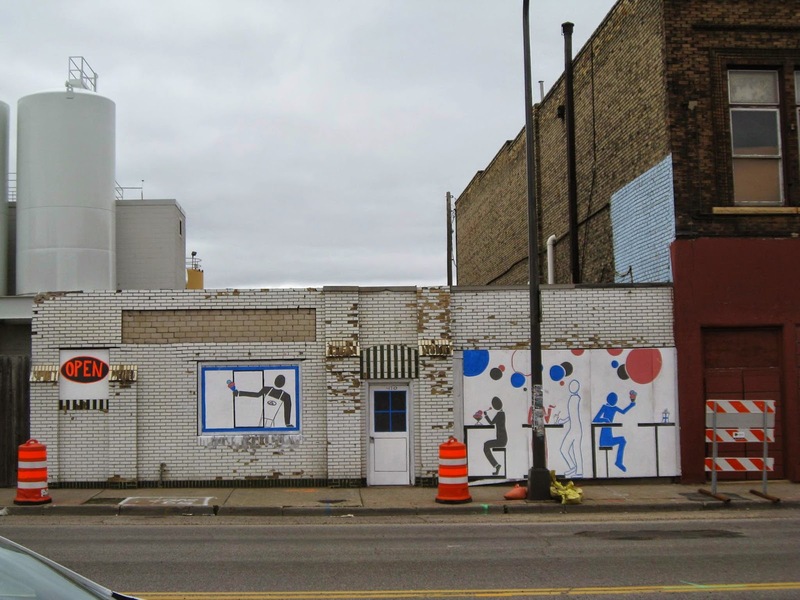 A recent Star Tribune article was quite critical of the lack of progress on West Broadway, and the director of the West Broadway Business Coalition then published a rebuttal detailing the economic development we have seen. I thought the first shot was perhaps a bit too bleak, while the WBC account painted a picture that was overly rosy. The truth, as is often the case, lies somewhere in between. Since the publication of those articles, I've been thinking quite a bit about what we have in the commercial heart of north Minneapolis. 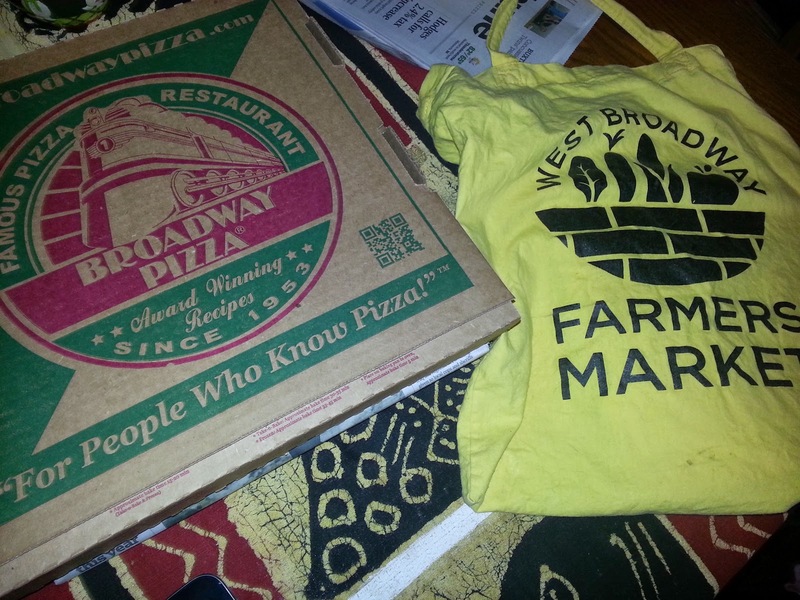 As I walk, bike, and drive along the corridor, I've been looking at West Broadway through two lenses--what would bring people from outside the area to West Broadway, and what draws me personally to spend money on the avenue. 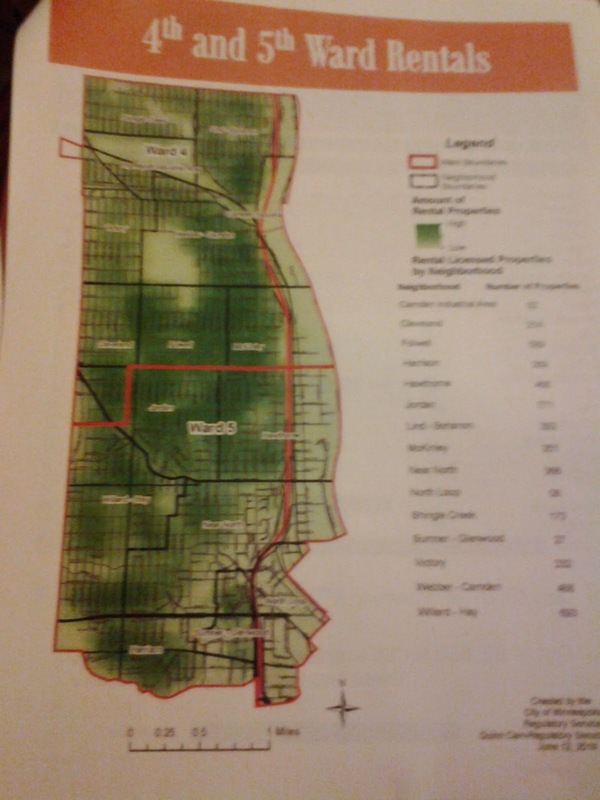 Over the past few weeks, I've had the opportunity to attend a neighborhood events where bike path options have been brought forward--a presentation by the city of Minneapolis about 26th Avenue North, and a Jordan Area Community Council listening session on the Humboldt/Irving Avenue proposal. While I could go into elaborate detail about each project, that's a topic for another post or two. Instead, what intrigues me as of late is the community perception of each plan. Along 26th, for example, there seemed at the Farview Park gathering to be pretty broad consensus that folks want some kind of bike upgrade to the corridor. 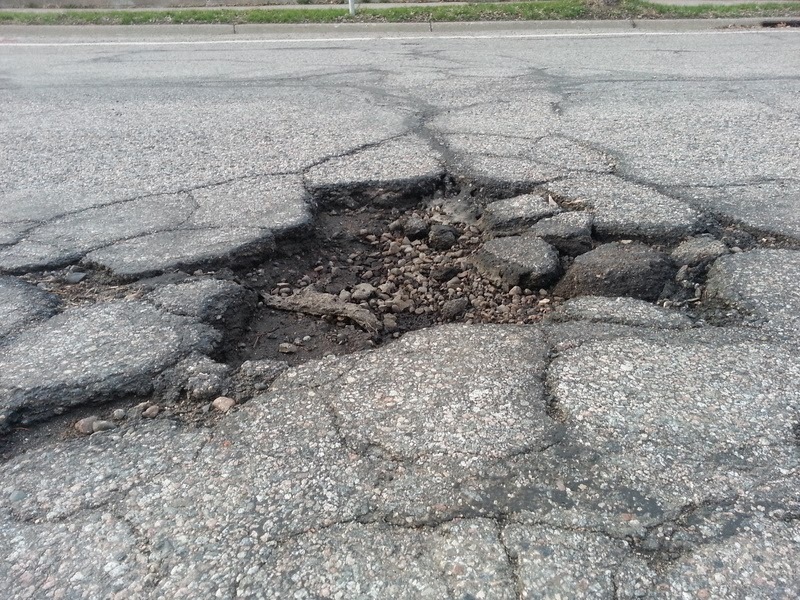 That feeling may well be impacted by the sorry state of the avenue as it crumbles away more each day. Furthermore, there is currently no parking between Lyndale and Theo Wirth on 26th. Between Lyndale and the River, some accommodations may have to be made, but overall the loss of parking has already taken effect and settled in. When 26th is redone over 2014 and 2015, the current configuration of 11-foot car lanes and 5-foot bike lanes in each direction will likely expand. Car lanes are expected to go to thirteen feet, and a 10-foot bike lane will be on one side of the street with a sidewalk for foot traffic on the other side. 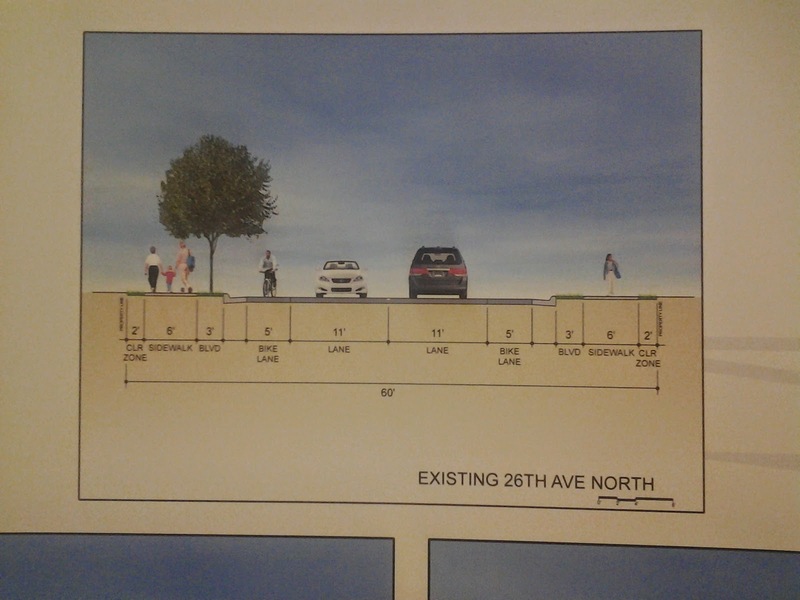 The sentiment at the 26th Avenue meeting was that, if anything, this proposal doesn't go far enough. 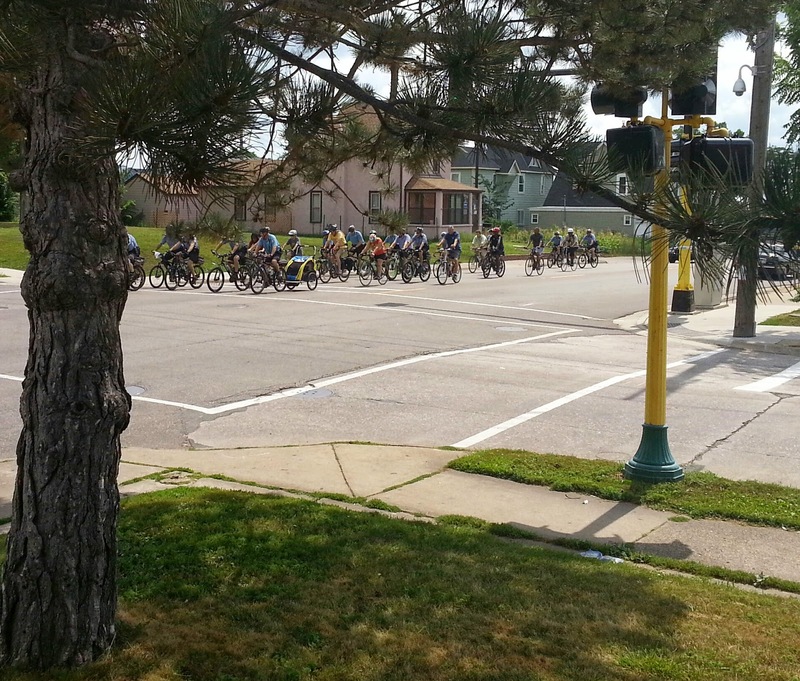 There is currently no connection from 26th Avenue to the Mississippi River by bike or foot. And although bike lanes kind of zigzag through the industrial area of Hawthorne to the river, there is not a sidewalk that allows pedestrians the same access. 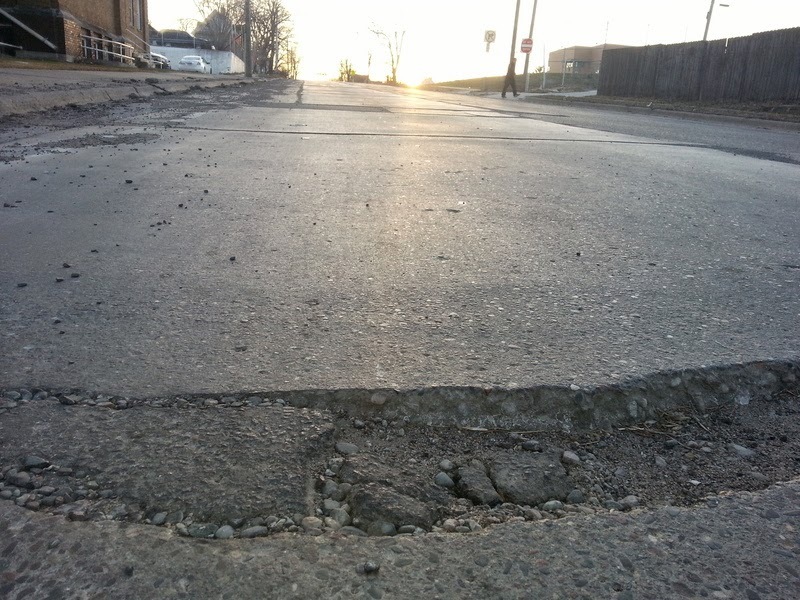 Some residents also expressed a desire to see 26th redone all in one year, although a project of that scope is unlikely to get done in less time than the proposed two-year cycle. There is also a group within Hawthorne at least, that has been pushing for a full greenway with no vehicular traffic. Given the traffic load of the corridor, the overall expense, and that there are a number of properties that would have limited access, a full greenway is unlikely to come out of a 26th Avenue redesign. 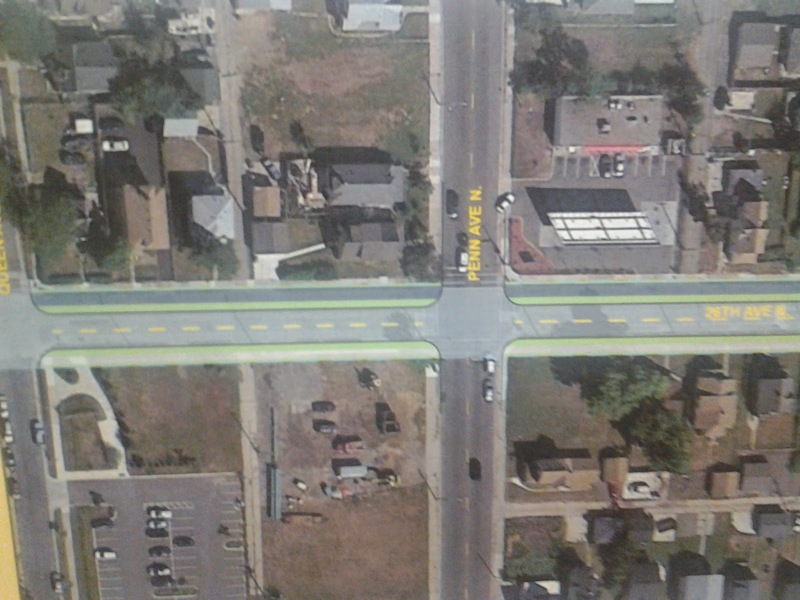 In fact, due in large part to pressure from that group of Hawthorne members, several "opportunity points" have been added to the 26th Avenue proposal. These include a possible connection to the Ole Olson park from 26th along the Mississippi River, a sprucing up of the highway overpass so it actually feels somewhat green, public art and an expansion of trails along Farview Park, a wider path by Nellie Stone Johnson School, and more bike and pedestrian amenities at 26th and Theo Wirth Parkway. When I heard the phrase "opportunity points," I thought it just sounded like really bad spin for why we were getting substandard amenities once again, but since this is the northside we should be glad we're getting anything at all. Instead, I was floored by how amazing these developments appear to be. Finally, some concrete steps to connecting the River and 26th! One concern brought to me after the meeting was a comparison to the Victory Memorial Parkway and how bumpy that is. I have always thought of that stretch as anything but bumpy, but a neighbor pointed out that I've never ridden with a baby in tow. The intersections along Victory Memorial, especially the north/south section, have a significant dip to them, and that causes problems for bikers with a baby on board. Contrast 26th with the public reception for the Humboldt/Irving Greenway proposals. Much of the sentiment I have witnessed here has been one of fear of losing what people already have. The Humboldt/Irving proposal is comparatively in its infancy. So neighbors haven't had a chance to get used to its ideas or really understand how various options might affect them. I am, however, seeing real estate listings in Jordan come up advertising themselves as on the Humboldt or Irving Greenway. So clearly some people are seeing the value in the amenity, even if only as a marketing tactic for the time being. And speaking of sales, one of the psychological cornerstones of sales is that people generally are first afraid to lose what they have and that's their starting point. So at many neighborhood or online forums, the first question is "What about parking?" Folks understand what they have, and can't see past that for a broader vision of what could be. One youth at a Humboldt/Irving meeting brought up an interesting safety concern, that North Commons is an epicenter of young gang activity, and that what amounts to a bike freeway that passes through the area would potentially allow those gangs to spread their territory. I find this a good reason to focus on safety AND bike infrastructure, but not to ignore one for the sake of the other. So here is my prediction for Humboldt/Irving. We are quite a ways away from breaking ground on a project of such a massive scope. By the time that occurs, much or perhaps all of 26th will have been done. And when we're ready to go on Humboldt/Irving, some segments will want just a bike boulevard stripe, others will want a full-on greenway, and other parts will want something in between. I think we'll see at least some in-between bike amenities that mirror 26th get built--maybe even a few blocks of Milwaukee Avenue-stlye greenways here and there. And when residents can actually see what that looks like, when they can bike or walk along the corridors, and when they see neighbors' front yards extend to what would normally be the middle of a street, more and more people will want that for themselves. If that's the route the north/south greenway takes, we could be waiting a generation for it to come to full fruition. Then again, how long did 26th Avenue take to get to where we are today? I rest my case. Fox news first reported on a multi-million-dollar cell phone theft ring being busted in Minneapolis, with the Mustafa family as the ringleaders of the operation, although the Minneapolis Star Tribune had far more details about the nuts and bolts of the scam, the Fox story actually published the addresses of the businesses involved. For some reason, those addresses brought back memories of a lyric from a famous Bob Dylan song: And here I sit so patiently/waiting to find out what price/you have to pay to get out of/going through all these things twice. Seven and a half minutes later ("Stuck Inside of Mobile with the Memphis Blues Again" is a LONG song) I realized why. I had indeed blogged about many of these businesses before, back when I was writing on the Adventures of Johnny Northside. 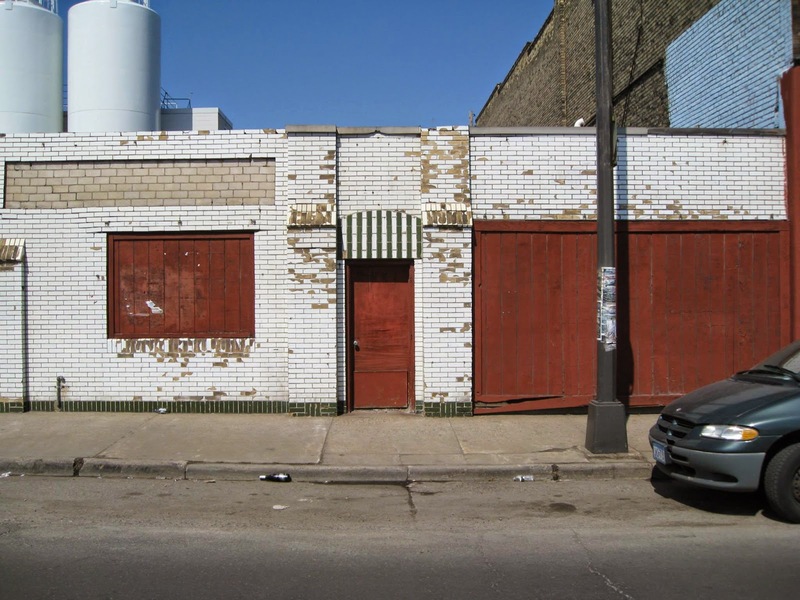 Furthermore, in the comment section of that blog post, longtime northside residents spoke about how many of those businesses were selling fenced goods for ten years prior. That post, for the record, was written in 2009. So as far back as 1999, maybe longer, some of these businesses or at least businesses out of the same address, have been selling stolen goods in my community. A running item in the Sunday Star Tribune is the "Names & Faces" in the variety section. I normally skip the self-congratulating who's who at various galas, but several weeks ago something caught my eye. Normal people were profiled at the riverfront by West Broadway, attending a show by the Twin Cities River Rats. The kicker? It was a Star Wars-themed performance. 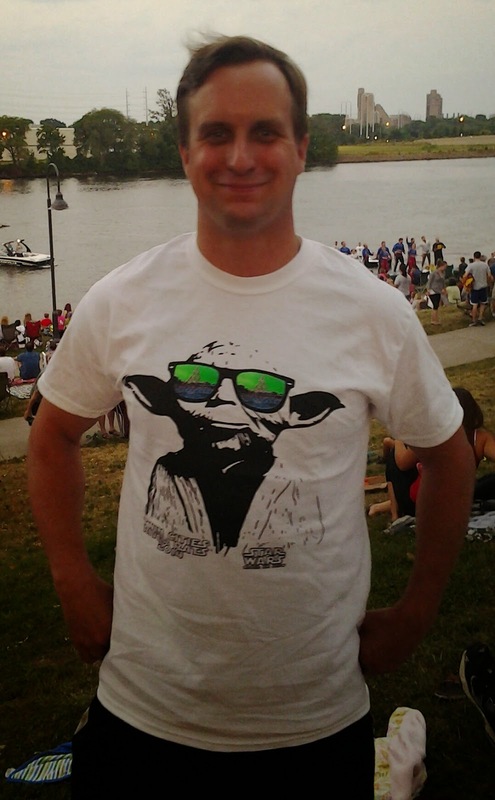 A combination of the riverfront, north Minneapolis, and Star Wars, and I missed it. I wasn't sure if I would ever live THAT down. As it turns out however, the Star Wars show is their theme for the whole summer. I saw a post on the "Positively Northside" Facebook page (we tend to have a lot of northside Facebook pages these days) that a show was happening last week, and I ran out the door to attend. 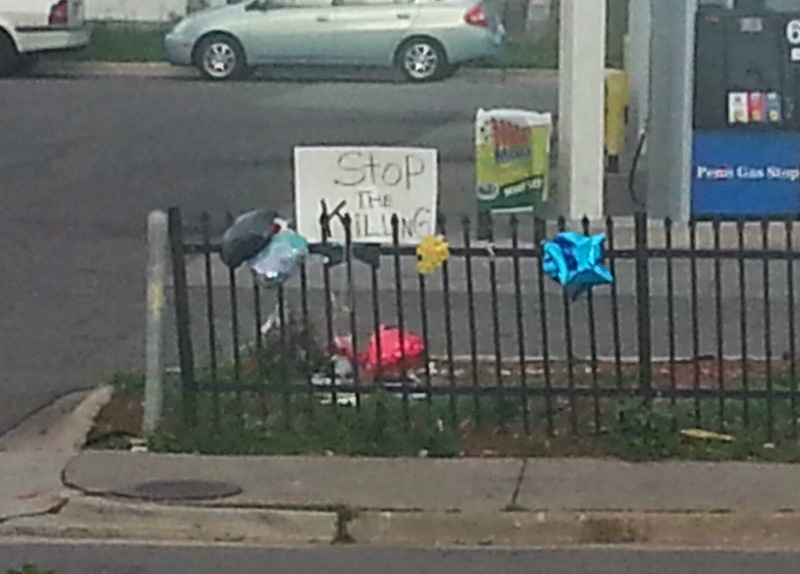 Two women were yelling, "Stop the violence, honk for peace!" That's when I was punched in the face and wound up conducting a citizen's arrest. When I type those words all in a row, it's so surreal that I can't help but giggle. Giggling, by the way, was a little painful right after that. 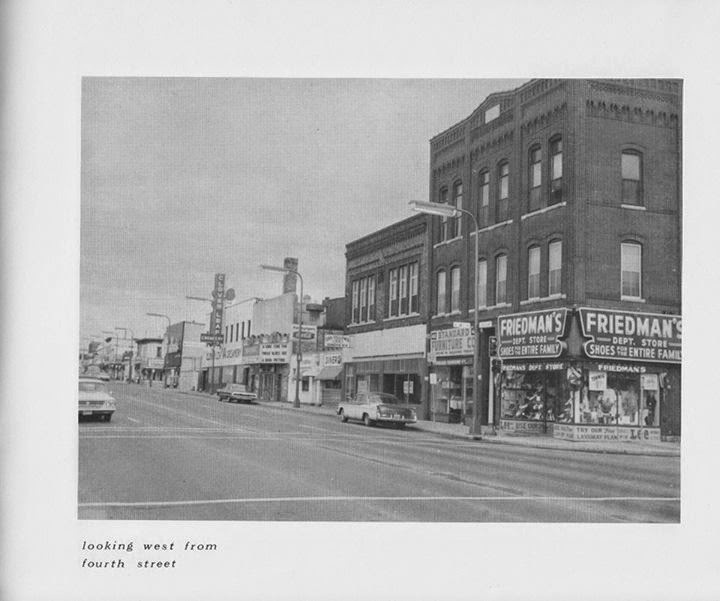 Photos from the Old North Minneapolis Facebook page, post by the Hawthorne Hawkman. Last week at the Historic Preservation Commission hearing, the White Castle building and the International Order of Oddfellows building were both granted initial designation as historic landmarks. Minneapolis preservationists are thrilled with this step but more than a bit concerned about the processes that led here. First off, the designation by no means makes these structures safe from demolition. Kemps, the owner, still has every intention of tearing down these buildings. Their end use of the site is not a curb cut, but just additional parking. With West Broadway's zoning, a parking lot is within commercial standards and would likely need little to no additional approval once those structures are gone. The removal of these buildings, however, would create one--just one--additional parking spot for Kemps' semis. In all likelihood they will next apply for a demolition of a historic resource. In the meantime, expect them to take minimal care of the buildings and worry even less about whether they are secure from trespassers or the elements. 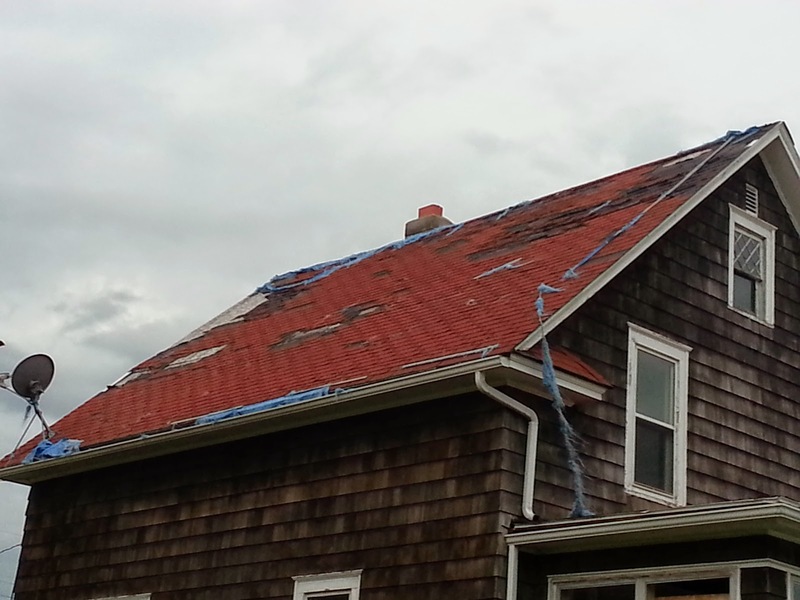 After all, every little bit of neglect and damage to these structures brings them closer to Kemps' end goal. Yesterday evening when my phone rang off the hook, with several people calling repeatedly but not leaving messages, I knew something was wrong. 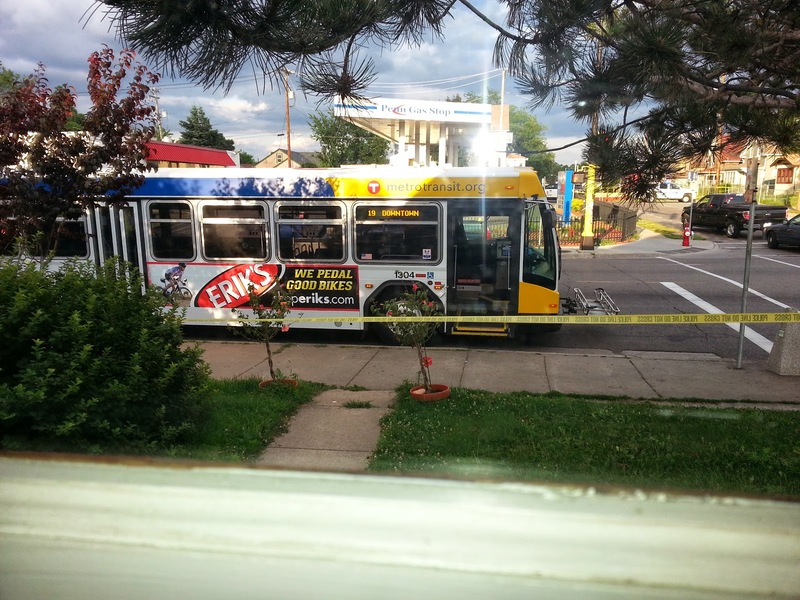 I called back, to find out that a man had been fatally shot after getting off of the 19 bus in front of my home. Thank the Lord for small favors, but no one in my house was harmed, my dog was okay, and my home appears to be unscathed--although shell casings or evidence of some kind was left by the trash can on my corner. It came to my attention this week through the Old North Minneapolis Facebook page that Ascension church wants to demolish a property they own at 1707 Bryant Avenue North. As one can see from the photos, this house is in wonderful shape. 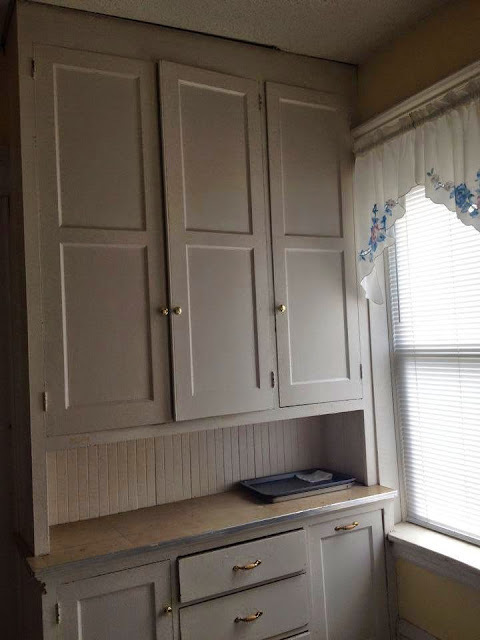 Even if some work is needed, I have little doubt that the place could be successfully rehabbed. So the unanswered question is why this house should be torn down at all? There does not seem to be any real need for Ascension to expand to that site. 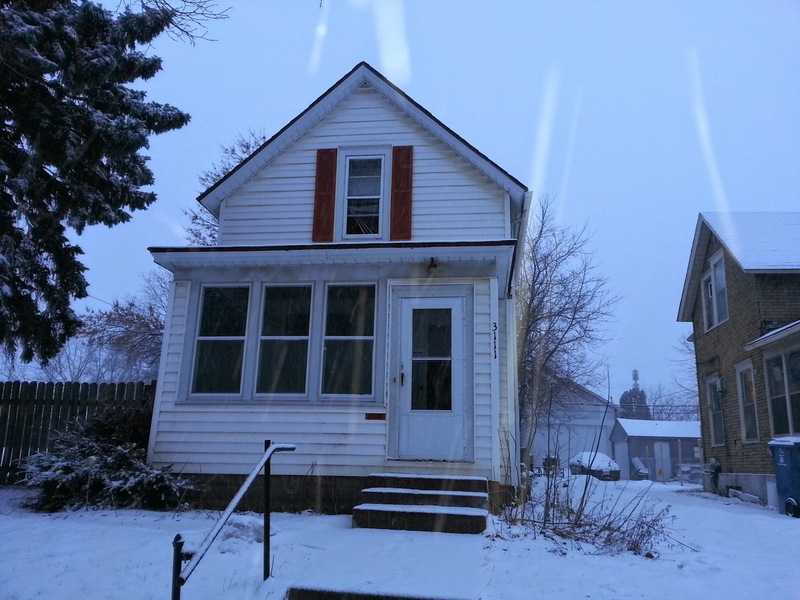 (and even if there is, has anyone explored moving the home to one of our many vacant lots nearby?) There isn't anything particularly negative associated with the place, other than its pending destruction. Instead, it would seem from the Old North Minneapolis speculation that Ascension is moving towards demolition simply because they don't want to deal with the property any longer. 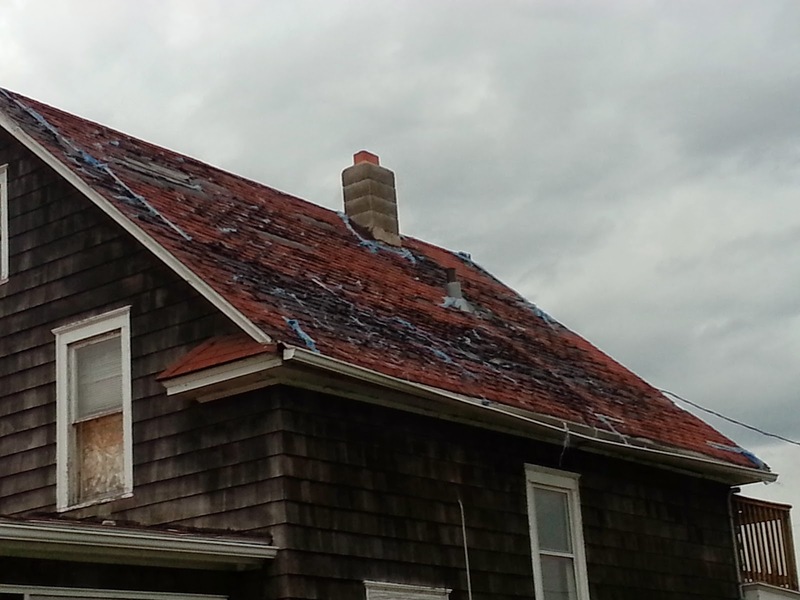 Now, in any case where a perfectly viable house could potentially be wasted, I would rise up in anger. But I am a pastor's kid (technically a son of a bishop by now) and a long-serving council member at my own church. So when I see another Christian instiution making this mistake, I speak not only as a preservationist but also as one church leader to another. And I cannot more forecfully admonish Ascension for this decision. There are any number of Biblical passages that spring to mind for why a Christian institution should not destroy a gem of a home such as this; the responsibility of man having dominion over God's creation in Genesis, or the communal transformation that happened when Nehemiah rebuilt a beseiged Jerusalem spring to mind as especially relevant. But the passage I keep coming back to is Matthew 25: 14 - 30, Jesus' parable of the talents. For readers unfamiliar with the story, a talent was a measure of currency. Jesus tells a tale of a master who is leaving on a journey and entrusts three servants with his money. The one who received five talents made five more, and likewise the servant who was given two talents doubled what the master had given him. A servant who was given only one talent buried it in the sand out of fear that the master would punish him if it were lost. And although he returned what was given him, he was cast out because he did nothing with the gift that the master had entrusted him with. 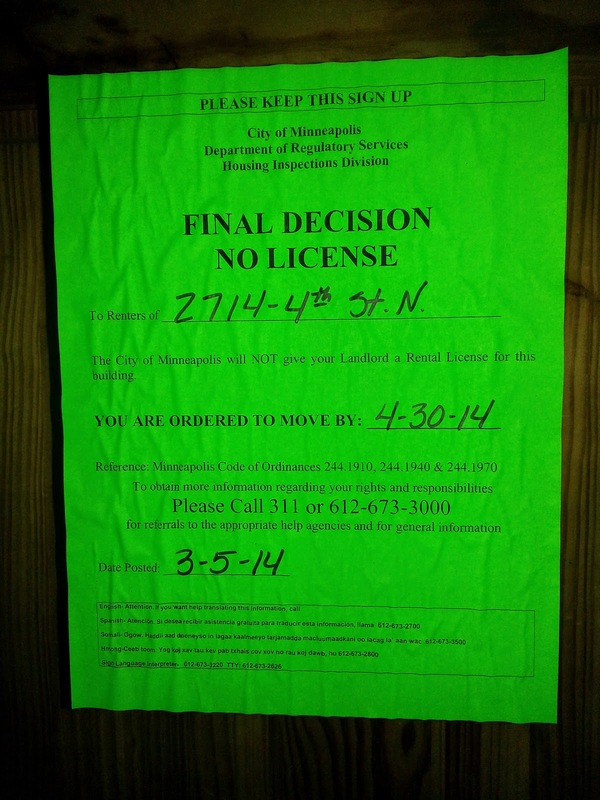 And so it is with Ascension and 1707 Bryant Avenue North. God has given this church a gift, in the form of a beautiful, historic home. What could be done with such a gift? 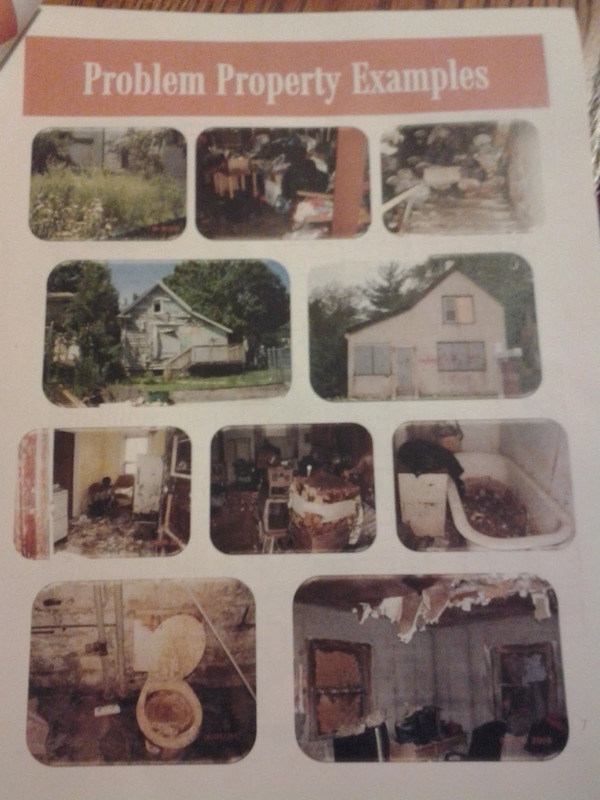 When I was in college, I was a founding member of a program called "Project Neighborhood," where ten students lived in a home (that was in terrible shape but restored, and was in the most challenging part of my alma mater town of Grand Rapids, Michigan) in Christian community. Our goal was to grow closer to Christ together while reaching out to serve the surrounding neighborhood--not through proselytising, but just to help where we were needed. Fifteen years later, there are almost half-dozen such homes throughout that city. 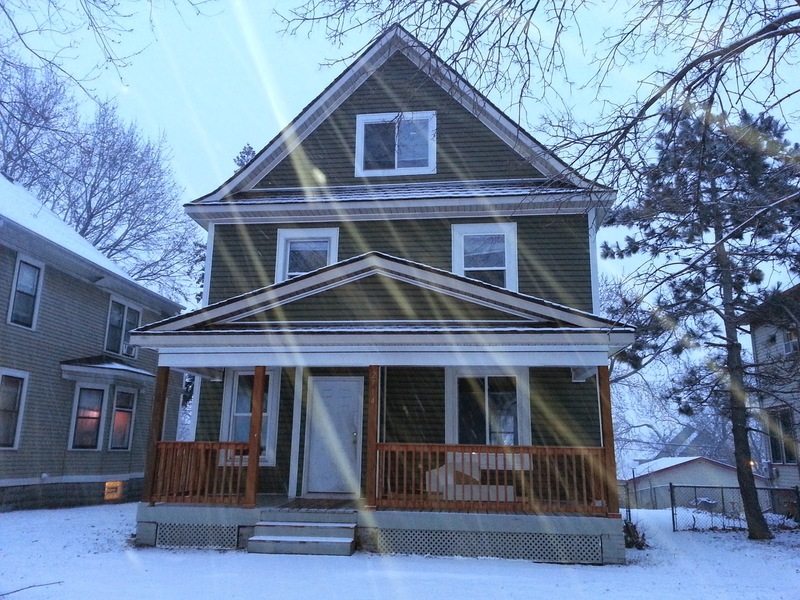 Closer to home in north Minneapolis, Redeemer Lutheran owns a property that they have used for just such a purpose. Even closer to Ascension, the Old Highland neighborhood has multiple homes for nuns and there is another spiritual resting place known as Alafia. Ascension need not look far at all to find examples of how to use similar properties to fulfill God's great commandment to "Go forth and make disciples of all nations." The master in the parable of the talents would even have been satisfied with the meager gains of putting money in the bank and letting it gain interest. 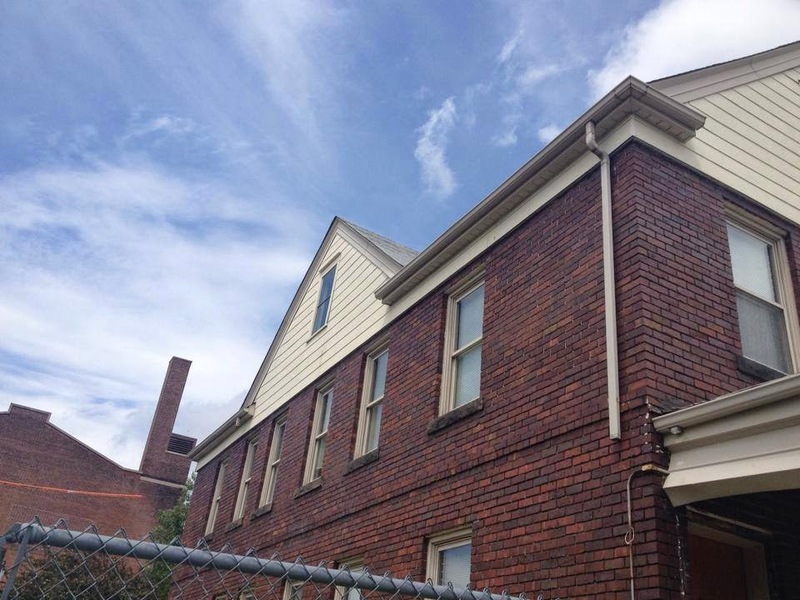 Likewise, Ascension could take the money they would use towards demolition and partially subsidize the moving of the home to another vacant lot. Or they could just sit on the place until housing values rebound even more and a sale in the future could bring a nice financial windfall. The parable of the talents has always resonated a clear message to me: When God gives you a gift, you damn well better try and do something with it. Even if you fail, that attempt is far, FAR better than taking what God has given you and burying it in the sand. Now I can completely understand that finding a solution to what to do with this house won't be easy and will carry some risk. But there is not a single verse in the Bible where God excuses his servants from taking action because they were lazy or afraid. On the contrary, children of God are specifically called to action in the face of such obstacles with the promise that our God will see us through. The servant who invites God's displeasure buries his talent in the sand. And ironically, burying a gift from God in the sand is quite literally what Ascension would do if they demolished this home. 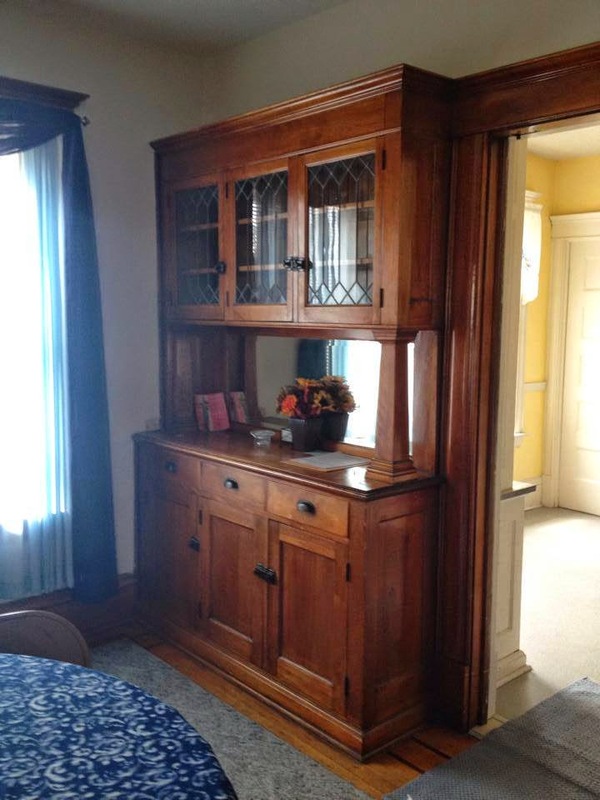 Instead, there are any number of options available for them to pursue that would result in either a way for them to further their ministry, or at a minimum provide a home to a family and make use of the physical resources that an old home contains. And so as one church leader to another body of fellow Christians, I call on Ascension to set aside plans for the destruction of this gift and to seek out ways to better serve our community and our God. I'm not sure if I'm dreaming and someone needs to pinch me, or maybe I'm in the Bizarro Universe where everything is the opposite of what it seems. But I recently attended a community forum put together by 5th Ward Council Member Blong Yang around city housing and regulatory services policies, and I left with nothing critical to say. 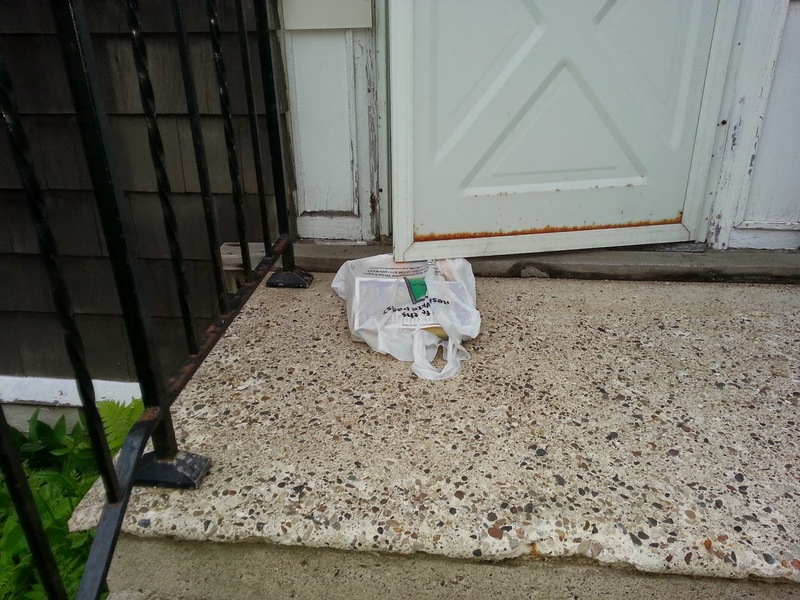 I still remove phone books from vacant homes, but that is thankfully needed far less frequently now. 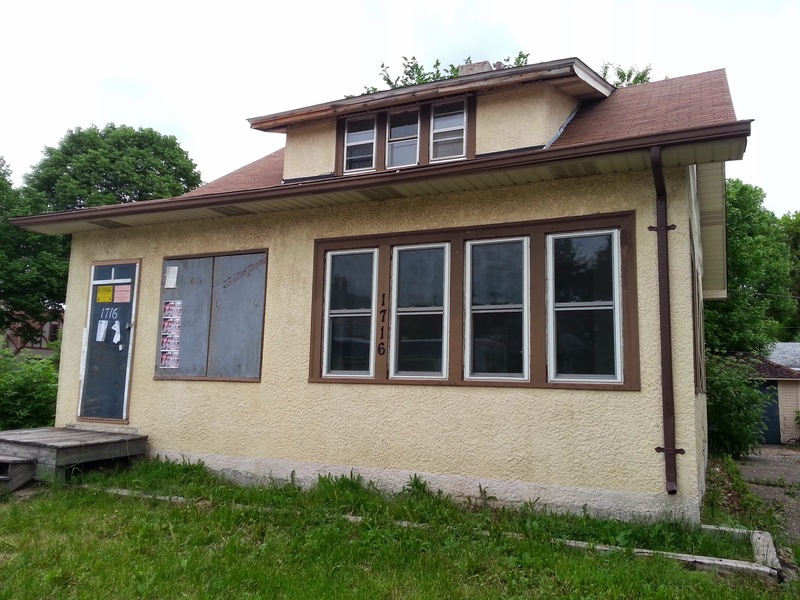 1716 26th Avenue North is often referred to as "The Jordan Garden House" due to its proximity to the "peace garden" at the corner of 26th and Knox Avenue North. (Although the Jordan Area Community Council does not own the house.) 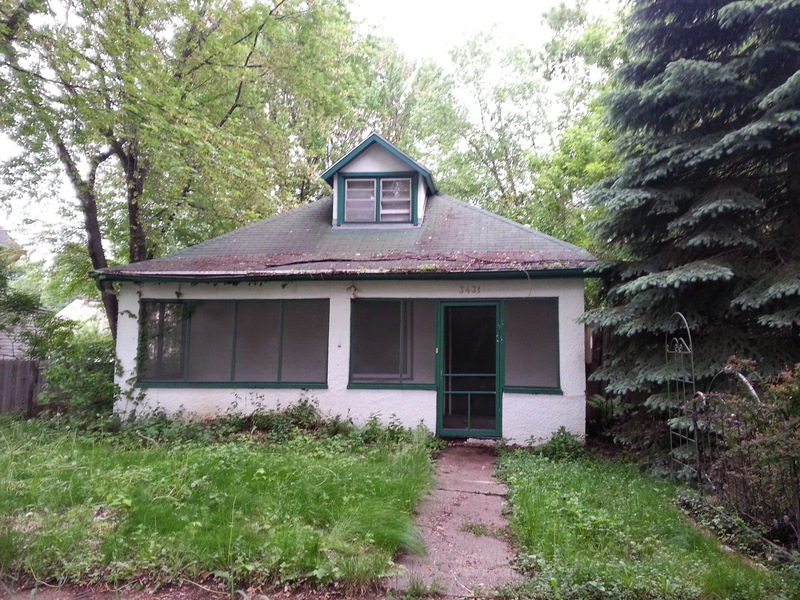 The house has been a vacant eyesore for years, since it went from one owner to tax forfeiture. 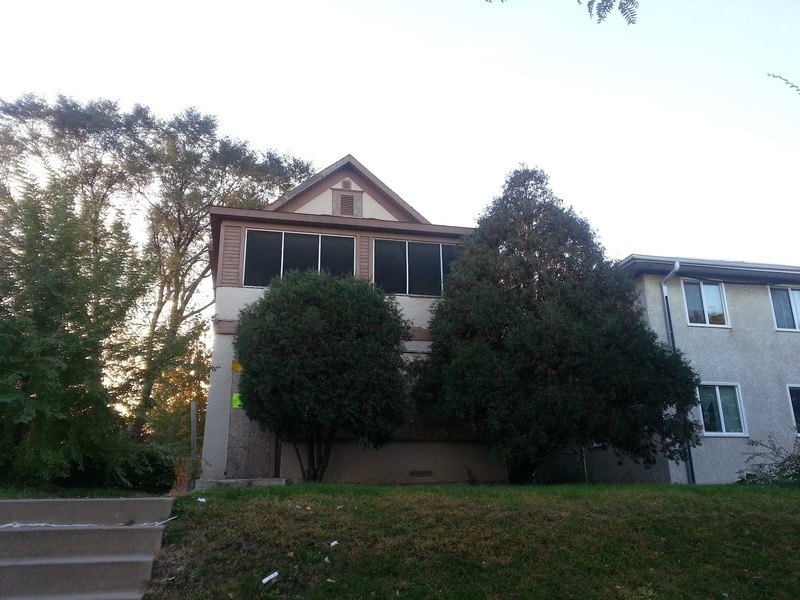 And since Hennepin County has had low or nonexistent standards for who they'll sell tax-forfeited properties to, this one was purchased by the infamous Ken Welch of Assertive Properties. 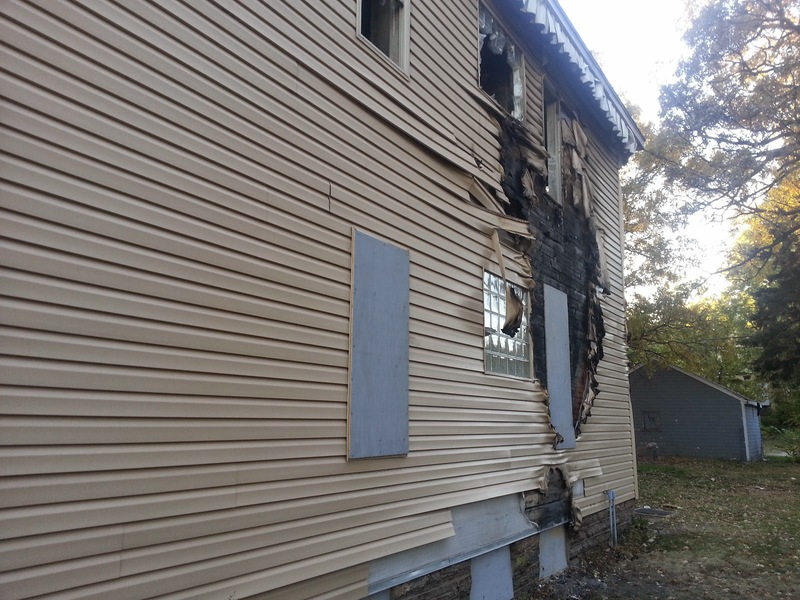 The story that sticks with me about Welch with this house is that reportedly a local non-profit developer was interested in making an offer to buy and rehab the house. 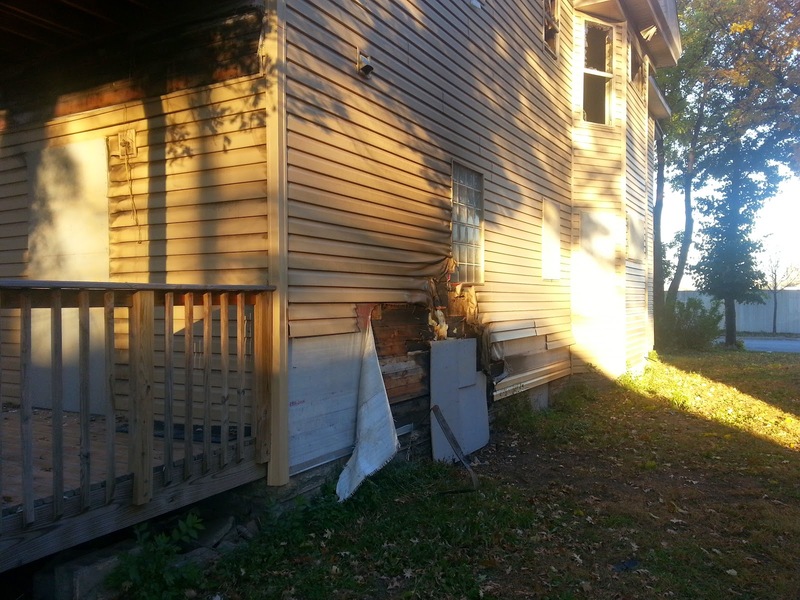 The developer figured Welch would be open to a deal, as the house simply couldn't be financially viable in its boarded and vacant state. 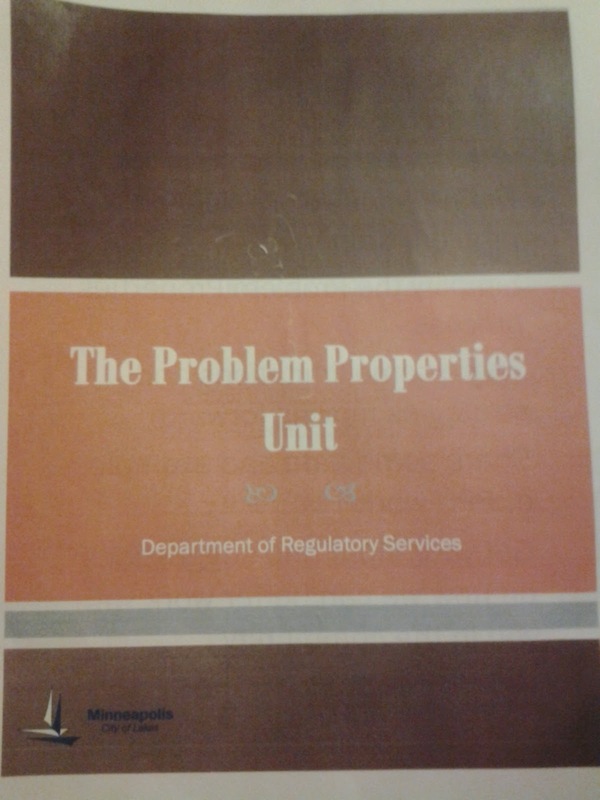 The annual VBR fees alone had to make the property untenable. Instead, the offer was rebuffed on the grounds that the place was still financially worth keeping even in that condition. Why would that be, I wonder? I have my own theories, but welcome any ideas folks may have. 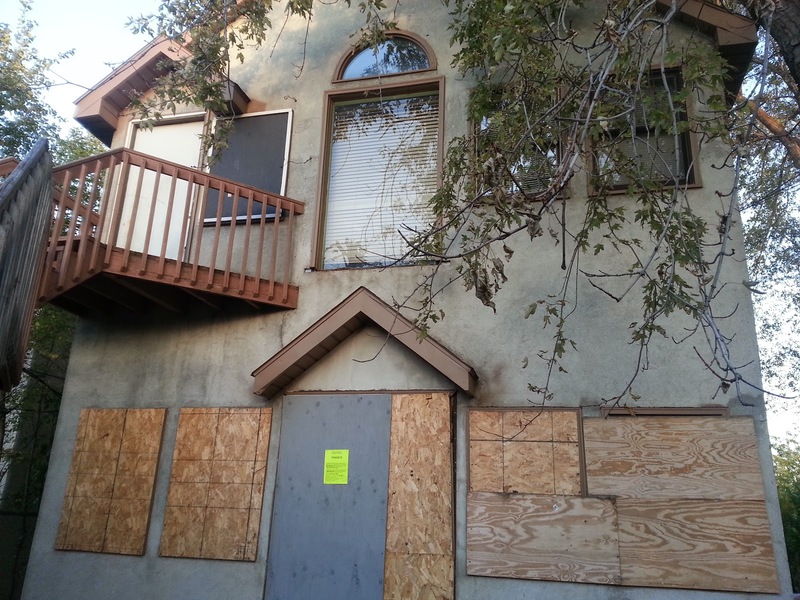 A year later and the house at 3431 Colfax Avenue North still sits in bureaucratic limbo. 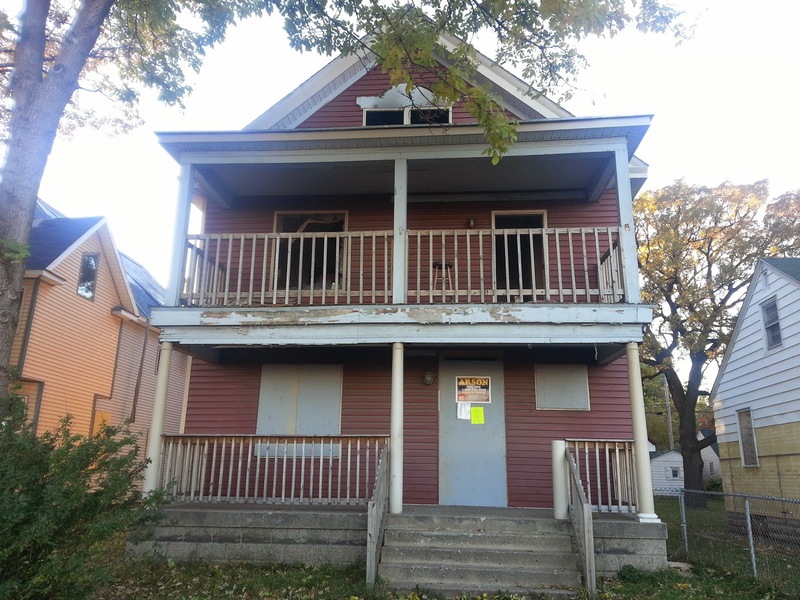 I wrote a previous blog post about how the city of Minneapolis was needlessly proceeding with demolition, and to their credit they have both held off on tearing the structure down and worked with partners in an attempt to find a solution. There are still city staffers just itching to pull the demo trigger on this one, but as a whole the city is really moving in the right direction on issues like this. But now the holdup is with Hennepin County and it's not clear if a solution for rehab will be available anytime soon. We certainly do not have anyone at the county willing to go beyond the bureaucratic call of "duty" at this time. 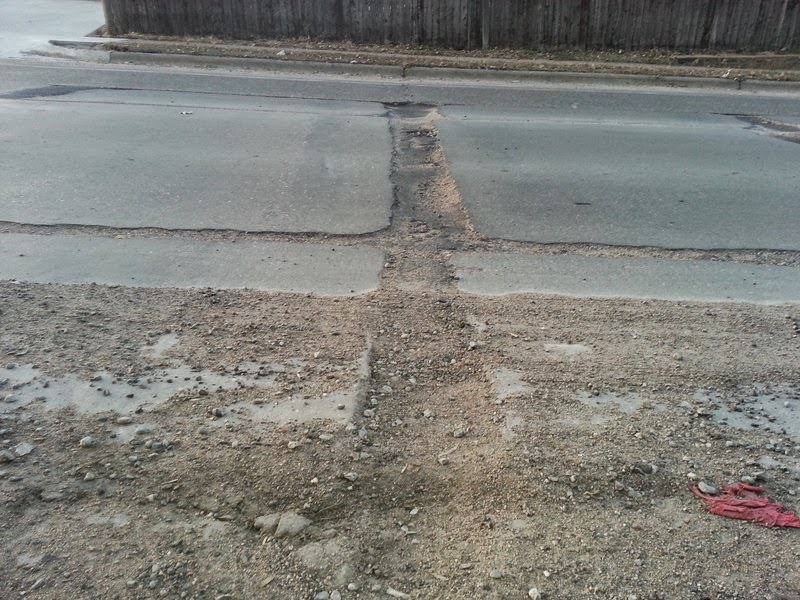 To the credit of our city officials, 26th Avenue North has seen quite a few potholes filled, CM Yang and his staff have been incredibly responsive since I brought the issue forward, and the corridor is slated for a makeover beginning (finally!) next year. Its condition is still deplorable and worthy of mention to keep the pressure on our city to follow through with long-overdue repairs. 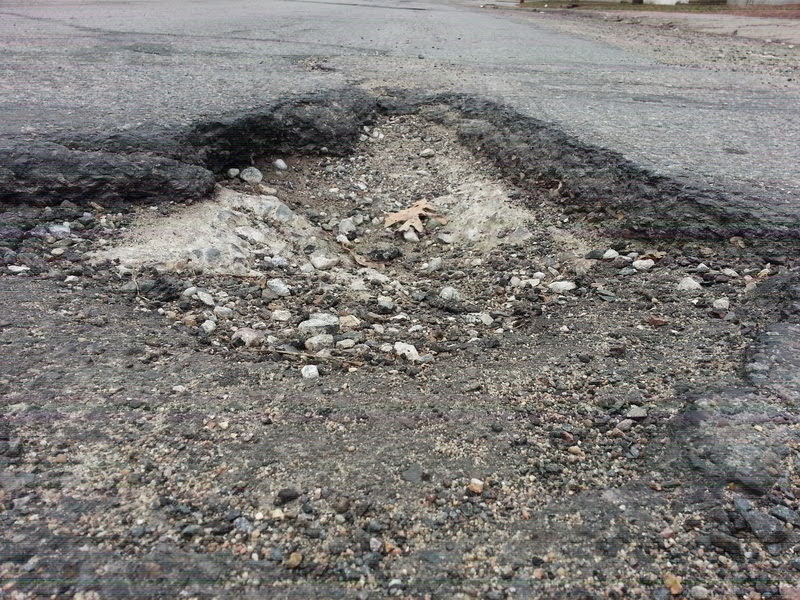 In early April, the Star Tribune posted an article titled, "Where you live in Minneapolis matters for pothole fixes." The gist of it being that--spoiler alert!--folks in north Minneapolis don't get the same level of basic services as the ritzier parts of town. City officials were credited with the explanation that other areas get more and better service because they report issues more frequently. That led to some rather entertaining backpedaling by our mayor and others, which can be summed up this way: "That allegation is not true at all and anyway, we are taking the appropriate steps to correct it." Post by the Hawthorne Hawkman, photos from the Old North Minneapolis Facebook page. I can't say I entirely blame Kemps for taking down the GIFT facade improvement. After all, they want to tear down two buildings on West Broadway and it doesn't help their position if people are actually excited about potential. 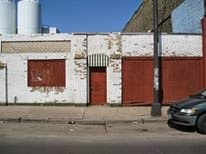 Oh no, it's much easier to keep the buildings looking like blight so people are more inclined to favor demolition. But it does show their true colors, in that they are willing to make a prominent section of West Broadway look worse in order to further their agenda. 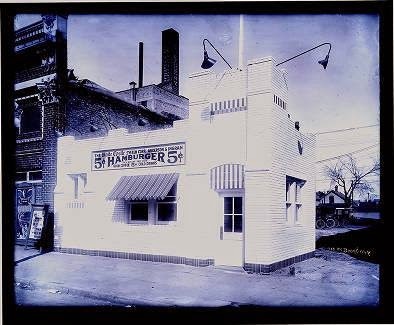 An example of what old White Castle structures looked like. 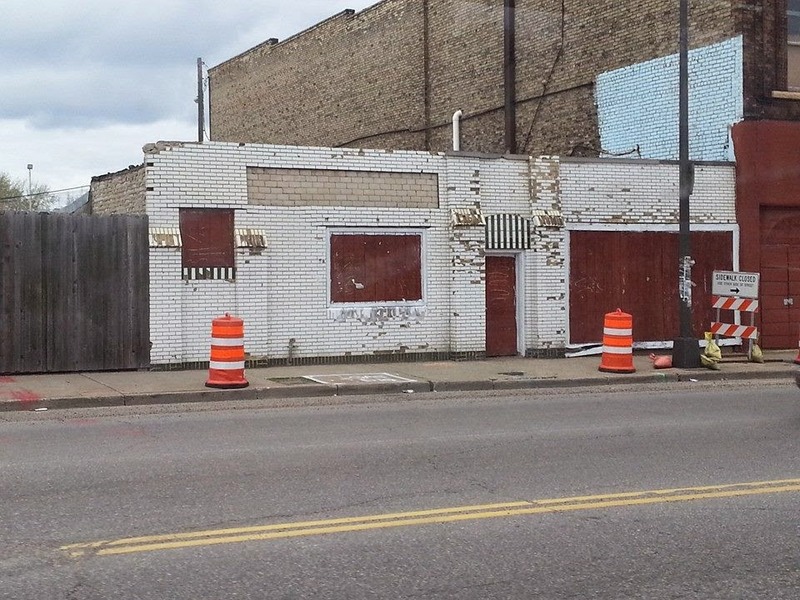 Towards the end of last year, I raised the alarm on this blog that Kemps had purchased two structures at 404 and 410 West Broadway with the likely intent of tearing them down for more surface parking. 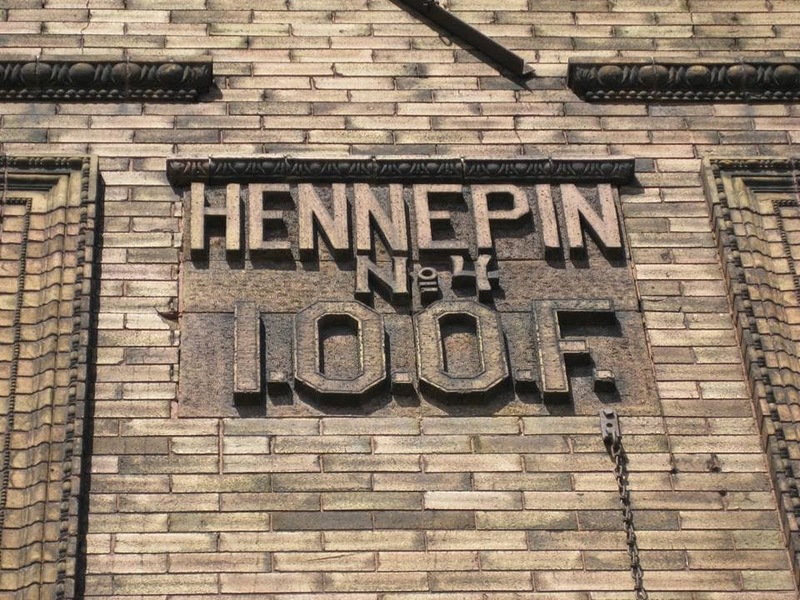 A discussion and extensive research followed on the Old North Minneapolis Facebook page (a site where more connections about northside history are being made every day). 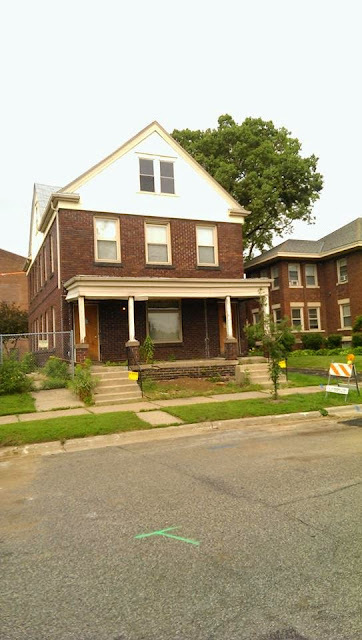 Late last month, we received the expected news that Kemps would apply for a demolition permit, and northsiders compiled our research to nominate the properties for historic designation. 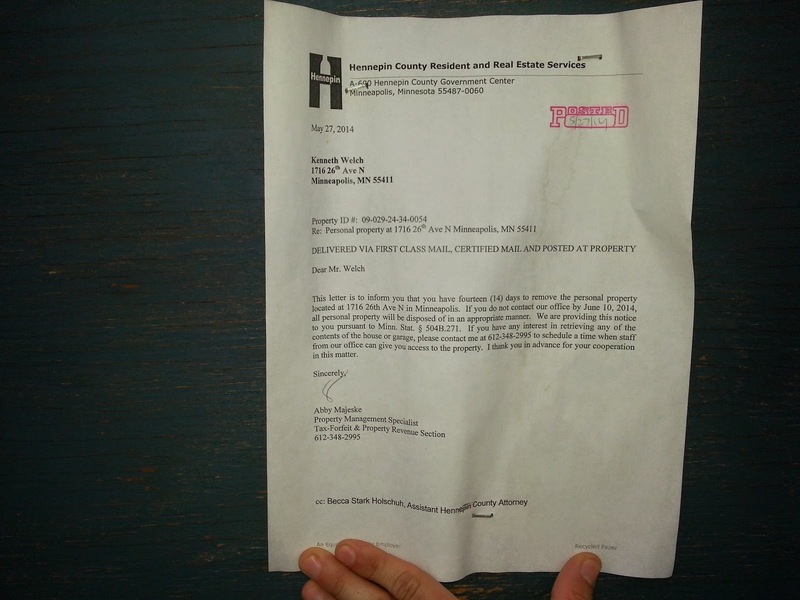 In my research for the equity blog post, I came across interesting information, and the Johnny Northside blog beat me to the punch by publishing news of Stephen Meldahl's rental license revocation before I could. 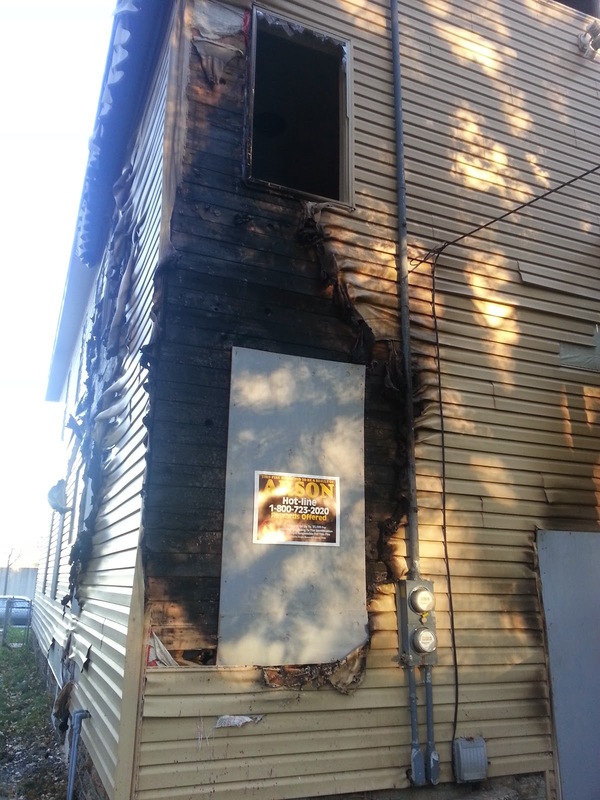 What he missed, however, was a loss of a license by one of the few slumlords worse than Meldahl, Mahmood Khan.